KEEN golfers from near and far braved the Friday afternoon heat for a melon-themed day on the Chinchilla green. Tee-ing off among the stars of the show, forty teams from around the region, and beyond, turned out for the afternoon ambrose. 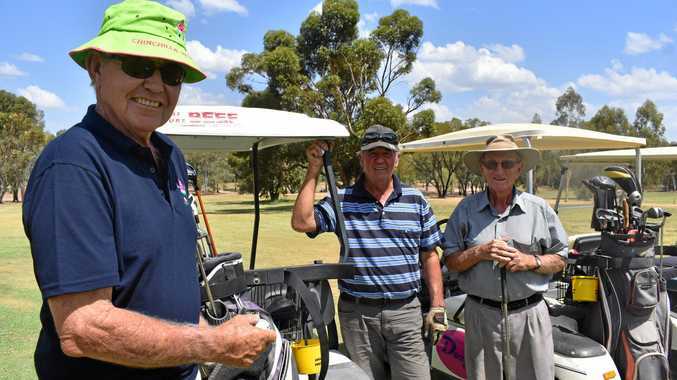 Amongst the golfers was The Melons, made up of Rob Farrell, Daniel Braxton and Jason Munroe, who, as Chinchilla locals, said they were happy to see so many turn out to support the club, town, and it's festival. 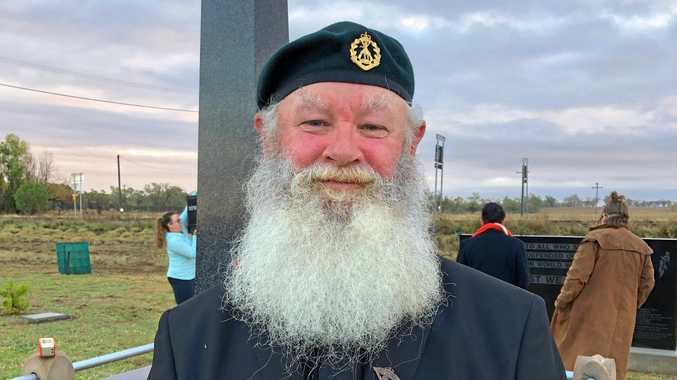 "It's a good opportunity for people to get a team together with their mates and have a good afternoon, as part of the weekend's festivities,” Mr Bruxton said. Visiting family for the weekend, Luke Barry travelled from Bulahdelah, NSW, and kicked the weekend off on the putting green. "We all love a good game of golf, and it's been good to see so many people out here today,” Mr Barry said. Chinchilla gold club president, Doug Fields, said the response to the tournament was encouraging. "We've got people here from all over. We have some guys that have come from New South Wales, and there's also companies from town that are represented here today,” he said. "Melonfest is a great tourist influx for the town, and it lets a lot of people know that Chninchilla is on the map, so we try and make the most of it.